A call to Chris Cecil Wright at Edmiston & Company brings more details about his sale of the 32.5m sailing yacht Bolero to a direct client. Chris says, "This was the first yacht I sold back in 1995 and I've sailed with the owner many times since. She'll be going in for a full refit next winter." Bolero was delivered by Far Ocean Yachts and Bolero Yachts in South Africa in 1991. Built to Lloyds class and MCA compliant, this superyacht was designed by the famed German Frers. She had a major refit in 2001-2002 and sleeps 10 guests in four doubles and a twin plus quarters for six crew. 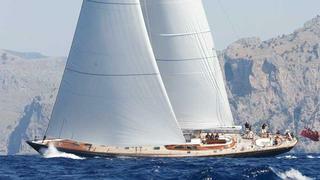 Bolero was asking €4.495 million.